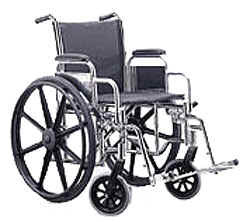 We carry a full range of manual wheelchairs to fit most every need. 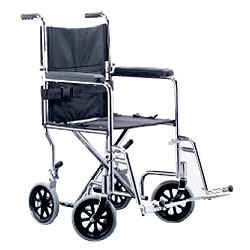 From companion and transport wheelchairs, standard wheelchairs, light weight transportable wheelchairs, heavy duty extra wide and extra deep wheelchairs, hemi height wheelchairs, reclining wheelchairs and pediatric wheelchairs. Scroll down and take a look at our huge selection below! 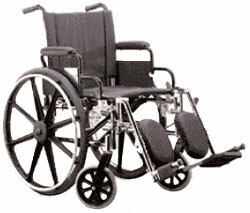 Foldable, Light Weight wheelchair. Easy to transport. ONLY 31 lbs. 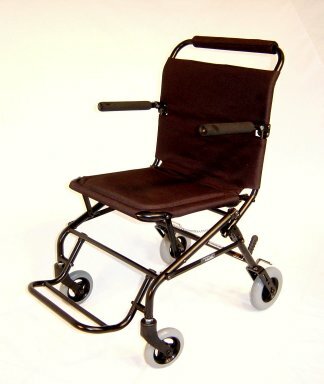 Light Weight Companion chair with fold down back at a great price.!!!! Rugged Standard Chair. 250 lb. 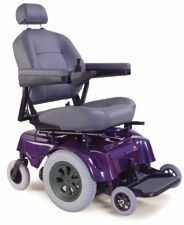 weight capacity with swing-away foot rests. Rugged Heavy Duty Chair. 400 lb. 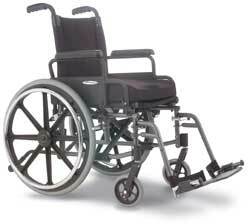 weight capacity with 24" wide seat. Click on the item name below to view features and specifications on that item. 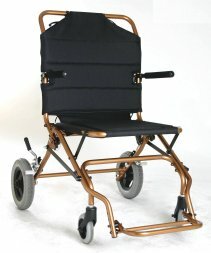 PolyWog Convertable Wheelchair 16", 18", 20" 16" 42" w/ front riggings 12" to 25.5" 28 to 30 lbs. American Transporter Model 9201 19" 16" 23.5" 22 3/4" 19 lbs. w/out footrests 275 lbs. Standard Manual Chair Extra Wide - M4X 22" 18" 33.5" 30.5" 48 lbs. 350 lbs.